Unsurprisingly, there are some caveats to keep in mind here. 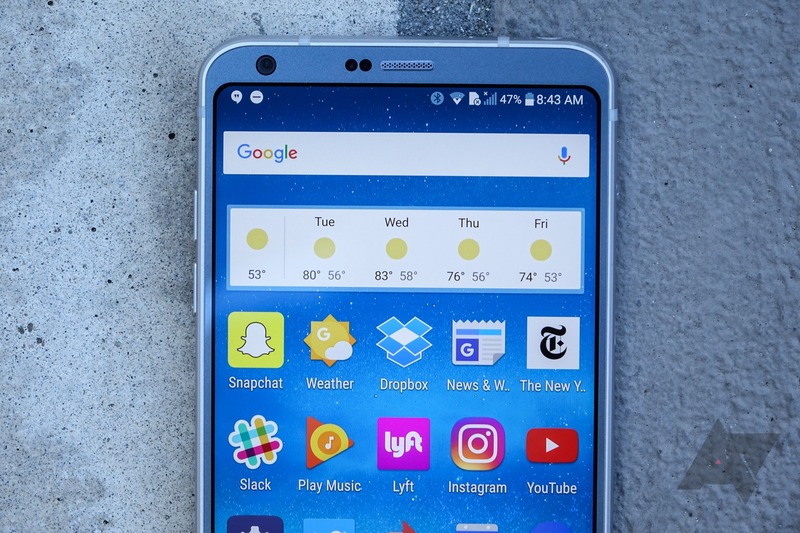 For instance, remember how LG was racing to beat other 2017 flagships to market, and decided to give the G6 an older Snapdragon 821 rather than waiting for the 835 to become available? It wasn't the end of the world at the time, but it does mean the G6 has aged slightly less gracefully than its peers. We're also looking at the AT&T edition of this handset, though it's unlocked and willing to accept the SIM of your choice. And color selection is non-existent from this seller at this point, so we hope you like "ice platinum." What's the good news? Well, that price is pretty hot, considering this phone originally sold in the $650-700 range. But you can already get a refurbed G6 for about this same price, so why call attention to this particular deal? The warranty. Your odds of getting any kind of warranty with an old phone are already low, and Amazon refurbs only offer 90 days coverage. But this G6 comes with a full one-year warranty through a third-party provider, helping you to feel a bit more secure about your purchase. What do you say? Need a backup phone that looks halfway presentable? Check out all the details in the eBay listing and see if this might not be the deal you've been waiting for.